A woman in the Aravalli hills of Rajasthan carries home a headload of field straw. India’s National Accounts Statistics is completely ignorant of the biophysical economy. On 5 January 2017 the Central Statistics Office of the Ministry of Statistics and Programme Implementation, Government of India, issued a note titled “First advance estimates of national income, 2017-18”. The contents of this note immediately caused great consternation among the ranks of those in business and industry, trading, banking anf finance, and government who hold that the growth of India’s gross domestic product is supremely important as it is this growth which describes what India is and should be. To me, this is good news of a kind not heard in the last several years. But India’s business and financial press were thrown into a caterwauling discord which within minutes was all over the internet. An example of one out of the many messages in a daily barrage delivered by the Government of India’s ‘GDP First’ corps. This is from what is called the Make in India ‘initiative’ of the Department of Industrial Policy and Promotion, Ministry of Commerce. “Make in India is much more than an inspiring slogan,” the DIPP says. “It represents a comprehensive and unprecedented overhaul of out-dated processes and policies.” For this childish GDP rah-rah club, environmental protection, natural reserves, watershed conservation, handloom and handicrafts are all outdated practices and ideas. So great is the power of the School of GDP and of its regents, who are as priests of the Sect of GDP Growth, that the meaninglessness of GDP is a subject practically invisible in India today. Just as it has no meaning at all to the woman in my photograph above, so too GDP has no meaning for all, including the 2.7% (or thereabouts) who pay income tax. This tweet shows us the scale of the problem. An article by Klaus Schwab of the World Economic Forum (a club of powerful globalists) is posted on the website of Prime Minister Narendra Modi ! The head of the ruling BJP’s information unit broadcasts it. India’s National Accounts Statistics presents every quarter and annually, estimates of the size of the country’s GDP, of the rate of GDP growth, of the size of ‘gross value added’, to which GDP is bound in ways as complicated as they are misleading. There are wages, interests, salaries, profits, factor costs, net indirect taxes, product taxes, product subsidies, market prices, industry-wise estimates and producer prices to juggle. For the most part, these are prices and costs alone, upon which various kinds of taxes are levied and whose materials and processes may qualify for subsidies. All these are added and deducted, or deducted and added, and finally totalled show a GVA which then leads to a GDP. The prices are arbitrary and speculative, as all prices are, the arbitrariness and speculative nature being attributed to something called market demand, itself a creation of policy and advertising – policy to choke choices and advertising to spur greed. On this putrid basis does the School of GDP stand. The GDP and GDP-growth frenzy in India spares not a minute for a questioning of its fundamental ideas, which in certain quarters had begun to shown as hollow and destructive in the early 1970s, when the effects of the material and consumption boom in Europe, North American (USA and Canada) and some of the OECD countries after the end of the Second World War became visible as environmental degradation. Over 30 years later, sections of those societies inhabit and practice what are called ‘steady state’ economics, ‘transition’ economics (that is, transition to low energy, low consumption, recycling and sharing based ways of collective living) and ‘de-growth’, which is a scaling down of economic production and consumption done equitably and to ensure that a society (or groups of settlement and their industries) strictly observe the bio-physical limits of their environment (pollution and pollutants, land, water, biodiversity, etc). But the Central Statistics Office of the Ministry of Statistics and Programme Implementation, Government of India, is ignorant of such critical thinking. It is just as ignorant of the many efforts at swadeshi living, production, cultivation (agro-ecological) and education (informal learning environments instead of reformatted syllabi lifted wholsesale from countries whose exploitative economies installed globalisation as the default economics mode) that are visible all over India today. The CSO and MoSPI are not entirely to blame for this abysmal blindness, because the Ministry of Finance (like every other major line ministry of the Government of India, and like every state government) has decided to be even more blind. To read the insensate paragraphs disgorged every quarter from the CSO (and Ministry of Finance, likewise the Niti Aayog, the chambers of commerce and industry, the many economy and trade think-tanks) is to find evidence to pile upon earlier evidence that here is an administration of a very large, extremely populous country which cares not the slightest about the indubitably strong correlations between ‘GDP growth’ and more forms of environmental damage than have been reckoned. The GDP-GVA-growth fantasy cares not the slightest about energy over-use and CO2 emissions, about the effects of widespread atmospheric and chemical pollution on the health of the 185 million rural households and 88 million urban households (my estimates for 2018) of India, and about the terrible stresses that the urban households in more than 4,000 towns, district headquarters and metros are subject to as a result of their lives – through mobile phone apps, banks, the food industry, the automobile industry and the building industry – being micro-regulated so that an additional thousandth of a per cent of GDP growth can be squeezed out of them. 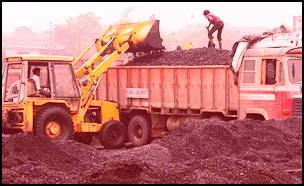 The GDP asura has brought ruin to India’s environment, cities, farms, households, forests, rivers, coasts and hills. Let 2018 be the year we burn the monster once and for all. The occasional journal Agenda (published by the Centre for Communication and Development Studies) has focused on the subject of urban poverty. A collection of articles brings out the connections between population growth, the governance of cities and urban areas, the sub-populations of the ‘poor’ and how they are identified, the responses of the state to urbanisation and urban residents (links at the end of this post). 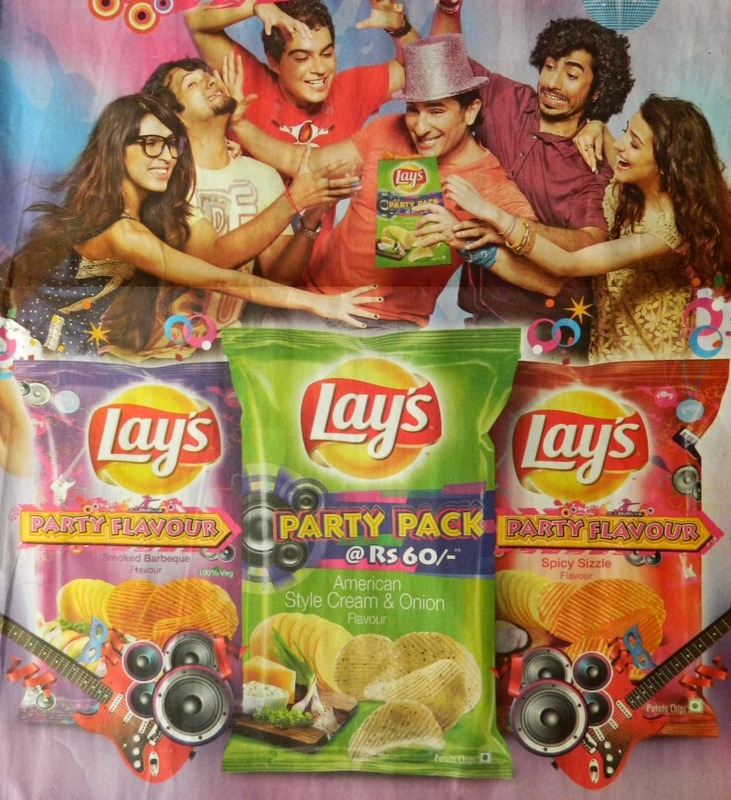 The reason they pursue this objective in so predatory a manner is the potential of GDP being concentrated – their guides, the international management consulting companies (such as McKinsey, PriceWaterhouse Coopers, Deloitte, Ernst and Young, Accenture and so on), have determined India’s unique selling proposition to the world for the first half of the 21st century. It runs like this: “Employment opportunities in urban cities will prove to be a catalyst for economic growth, creating 70% of net new jobs while contributing in excess of 70% to India’s GDP.” Naturally, the steps required to ensure such a concentration of people and wealth-making capacity include building new urban infrastructure (and rebuilding what exists, regardless of whether it serves the ward populations or not). The sums being floated today for achieving this camouflaged subjugation of urban populations defy common sense, for any number between Rs 5 million crore and Rs 7 million crore is being proposed, since an “investment outlay will create a huge demand in various core and ancillary sectors causing a multiplier effect through inter-linkages between 254 industries including those in infrastructure, logistics and modern retail… it will help promote social stability and economic equality through all-round development of urban economic centres and shall improve synergies between urban and rural centres”. Tiers of overlapping programmes and a maze of controls via agencies shaded in sombre government hues to bright private sector colours are already well assembled and provided governance fiat to realise this ‘transformation’, as every government since the Tenth Plan has called it (the present new government included). For all the academic originality claimed by a host of new urban planning and habitat research institutes in India (many with faculty active in the United Nations circuits that gravely discuss the fate of cities; for we have spawned a new brigade of Indian – though not Bharatiya – urban studies brahmins adept at deconstructing the city but ignorant of such essentials as ward-level food demand), city planning remains a signal failure. Other than the metropolitan cities and a small clutch of others (thanks to the efforts of a few administrative individuals who valued humanism above GDP), cities and towns have outdated and inadequate master plans that are unable to address the needs of city inhabitants in general (and of migrants in particular). These plans, where they exist, are technically prepared and bureaucratically envisioned with little involvement of citizens, and so the instruments of exclusion have been successfully transferred to the new frameworks that determine city-building in India. Democratisation and self-determination is permitted only in controlled conditions and with ‘deliverables’ and ‘outcomes’ attached – organic ward committees and residents groups that have not influenced the vision and text of a city master plan have even less scope today to do so inside the maze of technocratic and finance-heavy social re-engineering represented by the JNNURM, RAY, UIDSSMT, BSUP, IHSDP and NULM and all their efficiently bristling sub-components. The rights of inhabitants to a comfortable standard of life that does not disturb environmental limits, to adequate and affordable housing, to safe and reliable water and sanitation, to holistic education and healthcare, and most of all the right to alter their habitats and processes of administration according to their needs, all are circumscribed by outside agencies. It is not too late to find remedies and corrections. “As long as the machinery is the same, if we are simply depending on the idealism of the men at the helm, we are running a grave risk. The Indian genius has ever been to create organisations which are impersonal and are self-acting. Mere socialisation of the functions will not solve our problem.” So J C Kumarappa had advised (the Kumarappa Papers, 1939-46) about 80 years ago, advice that is as sensible in the bastis of today as it was to the artisans and craftspeople of his era. 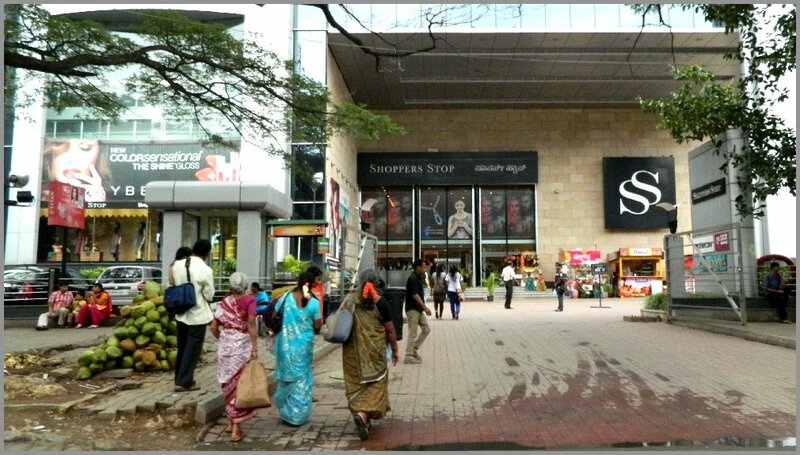 For the managed socialisation of the urbanisation project to give way to organic groups working to build the beginnings of simpler ways in their communities will require recognition of these elements of independence now. It is the localisation of our towns and cities that can provide a base for reconstruction when existing and planned urban systems fail. Today some of these are finding ‘swadeshi’ within a consumer-capitalist society that sees them as EWS, LIG and migrants, and it is their stories that must guide urban India. This is a chart whose lines drift downwards as time goes by, quite the opposite of all the usual depictions of India’s rising GDP, rising income, rising purchasing power, and so on. But in the two dropping lines is the proof that India’s households are tying themselves up in stifling vehicular knots. This chart shows what we call two-wheelers (scooters and motor-cycles) and cars (four-wheeled passenger vehicles, formally). It also shows number of households and a span of 20 years. The two lines show the number of households to a car (the orange line) and the number of households to a two-wheeler (the blue line). 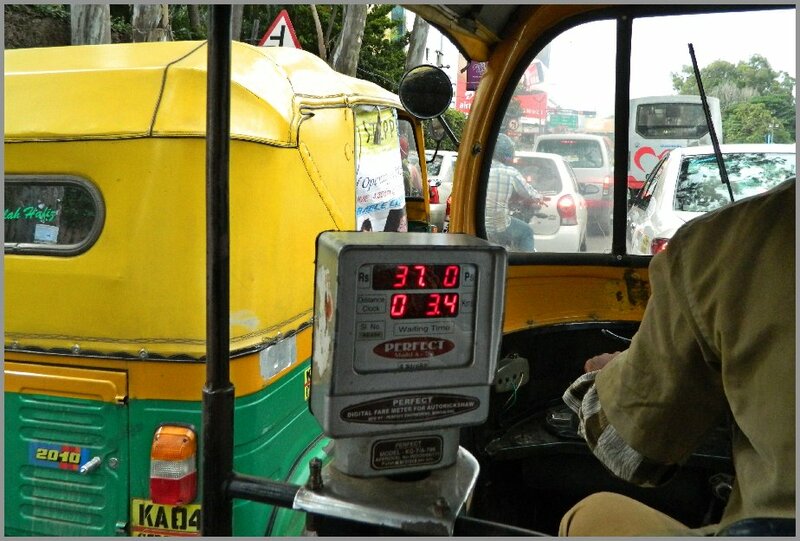 As there are many more two-wheelers than there are cars, they are on different scales, so the left axis is for the two-wheelers and the right for cars. I have taken the data from two sources. One is the Census of India, for the census years 2011, 2001 and 1991. The other is the Road Transport Yearbook (2011-12) issued by the Transport Research Wing, Ministry Of Road Transport and Highways, Government Of India. The yearbook includes a table with the total number of registered vehicles (in different categories of vehicle – two-wheelers, cars, buses, goods vehicles, others) for every year. The number of households is from the census years, with simple decadal growth applied annually between census years. I have not yet found the detailed data that will let me refine this finding between urban and rural populations. This is what the chart says: in 1992, there were 10 households to a two-wheeler and 48.7 households to a car. 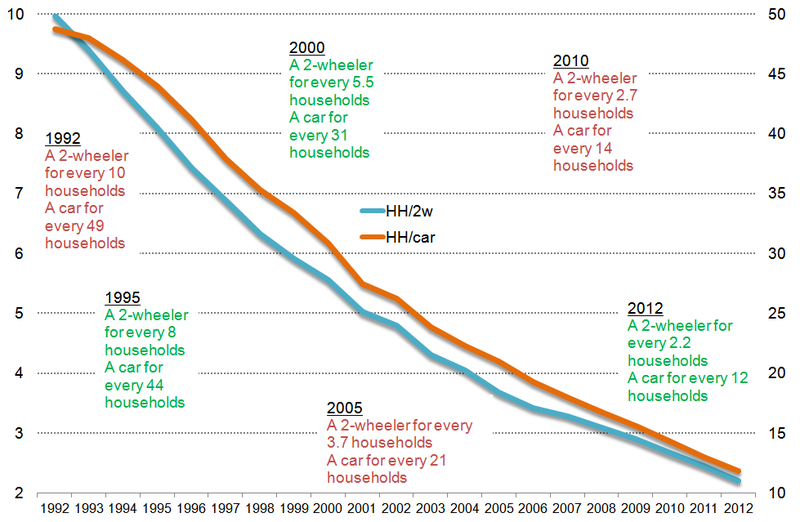 Ten years later in 2002 there were 4.8 households to a two-wheeler and 26.2 households to a car. Another ten years later in 2012 there were 2.2 households to a two-wheeler and 11.8 households to a car. The implications are several and almost all of them are an alarm signal. Especially for urban areas – where most of the buying of vehicles for households has taken place – the physical space available for the movement of people and goods has increased only marginally, but the number of motorised contrivances (cars, motor-cycles, scooters and more recently stupidly large SUVs and stupidly large and expensive luxury cars) has increased quickly. 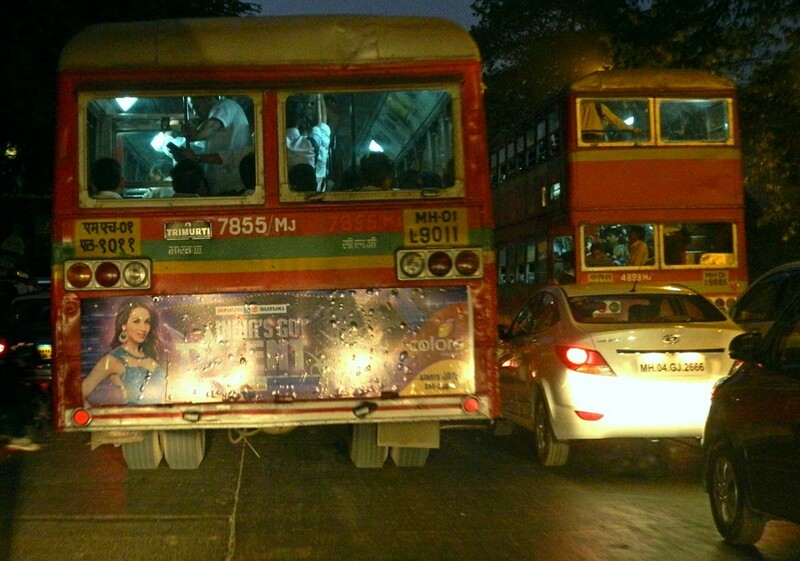 Naturally this ‘growth’ of wheeled metal has choked our city wards. But there are other implications. One is the very idea of individual mobility in and through a town or city. The connection – foolishly maintained by one government after another, and foolishly defended by macro-economists and industrial planners – between the automobile industry and gross domestic product (GDP) has crippled common sense. More motorised conveyance per household also means more fuel demanded per household, and more fuel (and money) wasted because households are taught (by the auto industry with the encouragement of the foolish cohorts I mentioned earlier) that they are entitled to wasteful personal mobility. Over 20 years, the number of cars per household has increased 4.1 times but the number of buses per household has increased only 2.8 times. That is embarrassing proof of our un-ecological and climate unfriendly new habits. 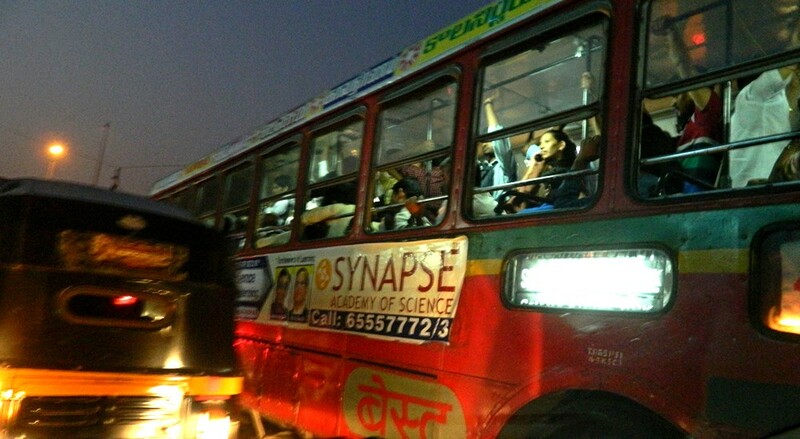 In 2012, there were 1.67 million buses (of all kinds and configurations), there were 7.65 million goods vehicles (to move all those appliances demanded by households, food crops, fertiliser, retail food, etc), 13.16 million other vehicles (which as the ministry says “include tractors trailers, three-wheelers (passenger vehicles)/LMV and other miscellaneous vehicles which are not classified separately”), 21.56 million cars (including jeeps and taxis), and 115.41 million two-wheelers. There are far too many of some kinds and not enough of others. More than 20 years after ‘liberalisation’ began, India’s household mobility is crawling along in first gear for having made too many wrong choices. A small matrix of classifications is the reason for such obtuseness, which any kirana shop owner and his speedy delivery boys could quickly debunk. As with the viewing of ‘poverty’ so too the consideration of an income level as the passport between economic strata (or classes) in a city: the Ministry of Housing follows the classification that a household whose income is up to Rs 5,000 a month is pigeon-holed as belonging to the economically weaker section while another whose income is Rs 5,001 and above up to Rs 10,000 is similarly treated as lower income group. Committees and panels studying our urban condition are enjoined not to stray outside these markers if they want their reports to find official audiences, and so they do, as did the work (in 2012) of the Technical Group on Urban Housing Shortage over the Twelfth Plan period (which is 2012-17). Central trade unions were already at the time stridently demanding that Rs 10,000 be the national minimum wage, and stating that their calculation was already conservative (so it was, for the rise in the prices of food staples had begun two years earlier). The contributions of those in the lower economic strata (not the ‘poor’ alone, however they are measured or miscounted) to the cities of India and the towns of Bharat, to the urban agglomerations and outgrowths (terms that conceal the entombment of hundreds of hectares of growing soil in cement and rubble so that more bastis may be accommodated), are only erratically recorded. When this is done, more often than not by an NGO, or a research institute (not necessarily on urban studies) or a more enlightened university programme, seldom do the findings make their way through the grimy corridors of the municipal councils and into recognition of the success or failure of urban policy. And so it is that the tide of migrants – India’s urban population grew at 31.8% in the 10 years between 2001 and 2011, both census years, while the rural population grew at 12.18% and the overall national population growth rate was 17.64% with the difference between all three figures illustrating in one short equation the strength of the urbanisation project – is essential for the provision of cheap labour to the services sector for that higher economic strata upon whom the larger share of the GDP growth burden rests, the middle class. And so the picture clears, for it is in maintaining and adding to the numbers of the middle class – no troublesome poverty lines here whose interpretations may arrest the impulse to consume – that the growth of India’s GDP relies. By the end of the first confused decade following the liberalisation of India’s economy, in the late-1990s, the arrant new ideology that posited the need for a demographic shift from panchayat to urban ward found supporters at home and outside (in the circles of the multi-lateral development lending institutions particularly, which our senior administrators and functionaries were lured into through fellowships and secondments). Until 10 years ago, it was still being said in government circles that India’s pace of urbanisation was only modest by world standards (said in the same off-the-cuff manner that explains our per capita carbon dioxide emissions as being well under the global average). In 2005, India had 41 urban areas with populations of a million and more while China had 95 – in 2015 the number of our cities which will have at least a million will be more than 60. Hence the need to turn a comfortable question into a profoundly irritating one: instead of ‘let us mark the slums as being those areas of a city or town in which the poor live’ we choose ‘let us mark the poor along as many axes as we citizens can think of and find the households – in slum or cooperative housing society or condominium – that are deprived by our own measures’. The result of making such a choice would be to halt the patronymic practiced by the state (and its private sector assistants) under many different guises. Whether urban residents in our towns and cities will bestir themselves to organise and claim such self-determination is a forecast difficult to attempt for a complex system such as a ward, in which issues of class and economic status have as much to do with group choices as the level of political control of ward committees and the participation of urban councillors, the grip of land and water mafias, the degree to which state programmes have actually bettered household lives or sharpened divisions. It is probably still not a dilemma, provided there is re-education enough and awareness enough of the perils of continuing to inject ‘services’ and ‘infrastructure’ into communities which for over a generation have experienced rising levels of economic stress. At a more base level – for sociological concerns trouble industry even less, in general, than environmental concerns do – India’s business associations are doing their best to ensure that the urbanisation project continues. The three large associations – Assocham, CII and FICCI (and their partners in states) – agree that India’s urban population will grow, occupying 40% of the total population 15 years from now. The ‘help’ of that period, envisioned as a light leg-up accompanied by informal encouragement, has become instead an industry of empowerment. There are “bank linkages for neutral loans to meet the credit needs of the urban poor”, the formation of corps of “resource organisations to be engaged to facilitate the formation of self-help groups and their development”, there are technical parameters to set so that “quality of services is not compromised”. Financial literacy – of the unhoused, the misnourished, the chronically underemployed, the single-female-headed families, the uninsurable parents and dependents, the uncounted – is essential so that ‘no frills’ savings accounts can be opened (the gateway to a noxious web of intrusive micro-payment schemata: life, health, pension, consumer goods). Such a brand of functional literacy is to be dispensed by city livelihoods centres which will “bridge the gap between demand and supply of the goods and services produced by the urban poor” and who will then, thus armed, “access information and business support services which would otherwise not be affordable or accessible by them”. So runs the anthem of the National Urban Livelihoods Mission, the able assistant of the national urban mission and its successor-in-the-wings, the Rajiv Awas Yojana. 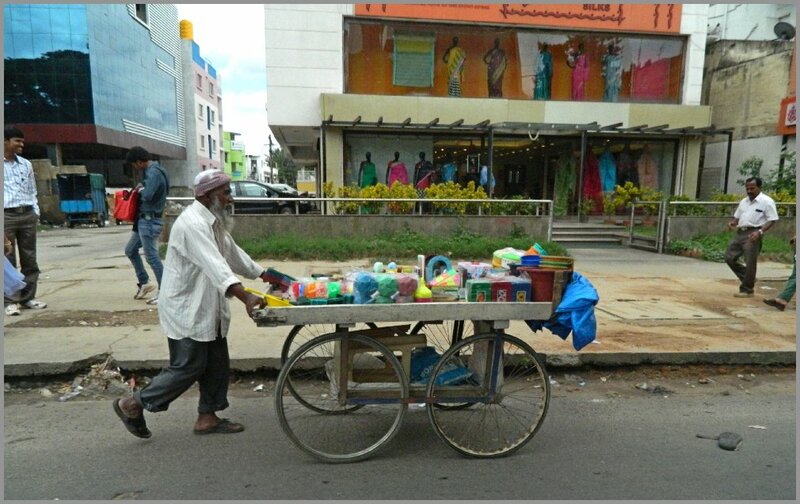 The existence of the ‘urban poor’ is what provides the legitimacy (howsoever constructed) that the central government, state governments, public and joint sector housing and infrastructure corporations, and a colourful constellation of ancillaries need to execute the urbanisation of India project. Lost in the debate over methodologies to find in the old and new bastis the deserving chronically poor and the merely ‘service deprived’ are the many aspects of poverty in cities, a number of which afflict the upper strata of the middle classes (well housed, overprovided for by a plethora of services, banked to a surfeit) just as much as they do the daily wage earners who commute from their slums in search of at least the six rupees they must pay out of every 10 so that their families have enough to eat for that day. These deprivations are not accounted for nor even discussed as potential dimensions along which to measure the lives of urban citizens, poor or not, by the agencies that give us our only authoritative references for our citizens and the manner in which they live, or are forced to live: the Census of India, the National Sample Survey Office (of the Ministry of Statistics and Programme Implementation), the municipal corporations of larger cities, the ministries of health, of environment, and the ministry most directly concerned with urban populations, the Ministry of Housing and Urban Poverty Alleviation. Exposure to pollution in concentrations that alarms the World Health Organisation, the absence of green spaces in wards, a level of ambient noise high enough to induce stress by itself, the weekly or monthly reconciling of irregular income (at any scale) versus the inflation that determines all costs of urban living – these are but a few of the many aspects under which a household or an individual can be ‘poor’. Income and food calorie poverty – which have been the measures to judge a household’s position in relation to a line of minimum adequacy – are but two of many interlinked aspects that govern a standard of living which every government promises to raise. This catechism was repeated when the Sixteenth Lok Sabha began its work, and President Pranab Mukherjee mentioned in his address to the body a common habitat minimum for the 75th year of Indian Independence, which will come in 2022 (at a time when the many vacuous ‘2020 vision documents’ produced during the last decade by every ministry will have neither currency nor remit). Housing for all, Mukherjee assured the Lok Sabha, delivered through the agency of city-building – “100 cities focused on specialised domains and equipped with world-class amenities”; and “every family will have a pucca house with water connection, toilet facilities, 24×7 electricity supply and access”. That is why, although concerned academicians and veteran NGO karyakartas will exchange prickly criticisms concerning the use in urban study of NSSO first stage units or the use of Census of India enumeration blocks, it is self-determination in the urban context that matters to a degree somewhat greater than the means we choose to use to describe that context. From the time of the ‘approach’ discussions to the Tenth Five-Year Plan (2002-07) – which is when the notion, till that time regarded as experimental, that the government can step away without guilt from its old role of providing for the poor in favour of the private sector – the dogma of growth of GDP has included rapid urbanisation. That such GDP growth – setting aside the crippling ecological and social costs which our administrative technorati, for all their ‘progressive’ credentials, do not bring themselves to publicly recognise – is deeply polarising and is especially so in cities is not a matter discussed in any of the 948 city development plans (1,515 infrastructure and housing projects) of the JNNURM. From then on, the seeking and finding of distinctions as they exist within the residential wards of towns and cities has been treated as heretical. The latest issue of the occasional journal Agenda (published by the Centre for Communication and Development Studies) has focused on the subject of urban poverty. A collection of articles brings out the connections between population growth, the governance of cities and urban areas, the sub-populations of the ‘poor’ and how they are identified, the responses of the state to urbanisation and urban residents (links at the end of this post). 2015 will be the tenth year of India’s largest urban recalibration programme. That decadal anniversary will, for one section of our society, be used as proof that new infrastructure in cities has lowered poverty, that new housing has raised the standard of living for those who need it most, that urban rebuilding capital is focused better through such measures and, because of these and like reasons, that giant programmes such as the Jawaharlal Nehru National Urban Renewal Mission (JNNURM) must continue. With or without the name of India’s first prime minister applied to the mission (itself a noun used liberally to impel urgency into a programme), it will continue, enriched with finance and technology. 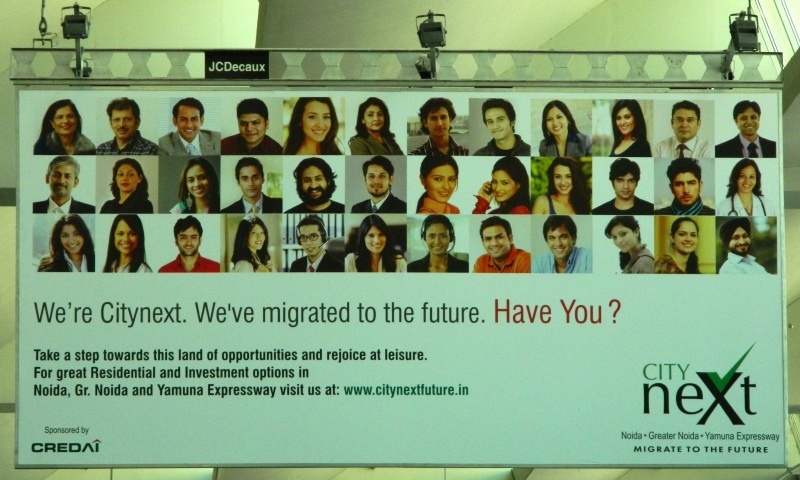 The JNNURM, a year from now, will be the foremost symbol amongst several that signal to some 415 million Indians (city-dwellers all, for that will be the approximate urban population a year from now) why city life and city lights are what matter. For another section of society, less inclined because of experience with administrations indifferent or venal, life in India’s (and Bharat’s) 7,935 towns goes on minus the pithy optimism of governments and their supporters in industry and finance. The promise of higher monthly household incomes is somehow expected to compensate for the grinding travails that urban life in India brings, and it is a promise documented inside 50 years of gazettes and government orders, countless circulars and memoranda, hundreds of reports by committees high-powered and technical. 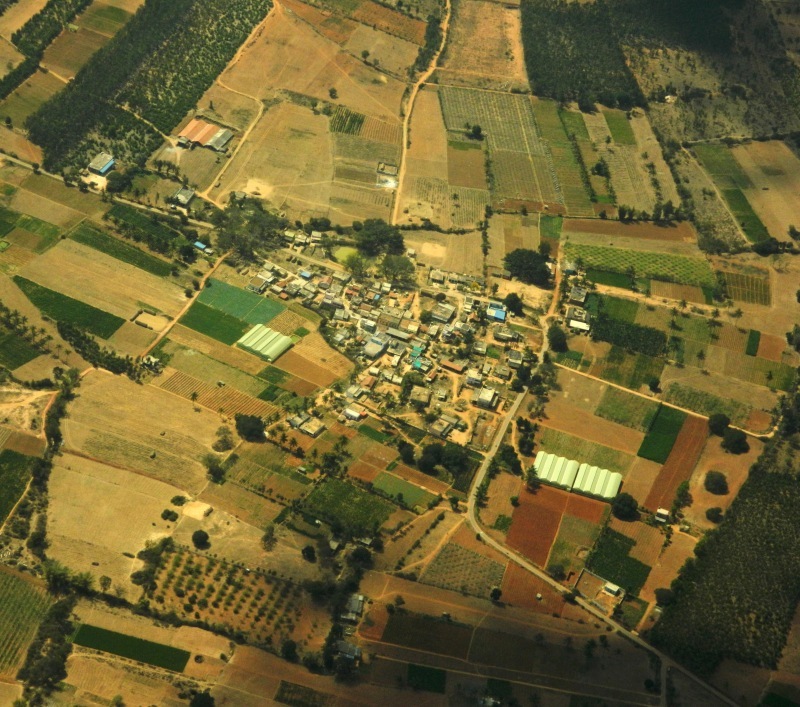 Still the number of villages that are transformed, statistically and temporally into towns (census and statutory) grows from one census to another (and in between), and still the urban agglomerations — some sprawling uncaring from one district into another, consuming agricultural land and watershed — expand, for the instruction of the market is that it is this process of gathering citizens that leads to the growth of gross domestic product (GDP), the prime mechanic in the alleviation of poverty, whose workings in cities are much studied but elude definition. The density of programmes and schemes that envelop urban-dwellers — those whose households hover above or below a poverty line, those whose informal wage earnings are insufficient to maintain a crumbling housing board tenement — is confusing, inside administrations as much as outside them. The thicket of entitlements and provisions that have been designed, so we are told, to ensure the provision of ‘services’ and ‘amenities’, confounds navigation. 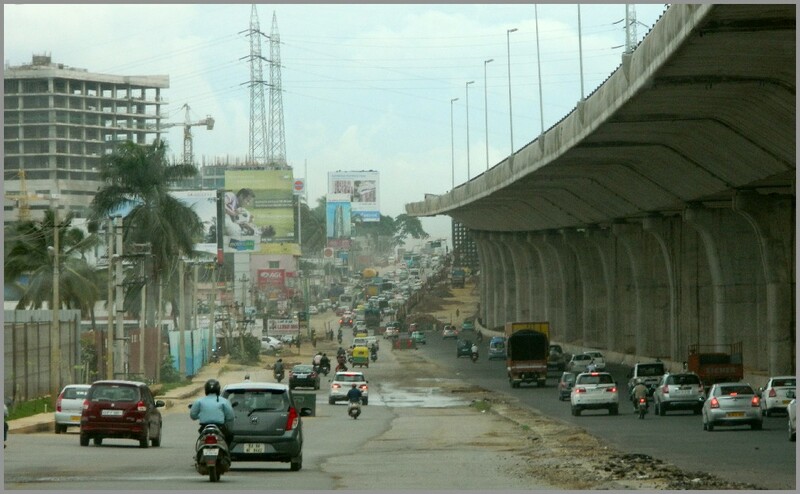 There are economically weaker sections and lower income groups to plan for (provided they remain weaker and lower); there are ‘integrated, reform-driven, fast-track’ sub-missions and components that are aimed at increasing the effectiveness and accountability of urban local bodies, all as part of the ‘Urban Infrastructure and Governance’ standards to be applied under the Urban Infrastructure Development Schemes for Small and Medium Towns (UIDSSMT, which defies any attempt to make acronyms pronounceable) in 65 mission cities. Prominent within this grand and swelling orchestra of urbanisation are some of the star creations of the Ministry of Housing and Urban Poverty-Alleviation. There is the Basic Services to the Urban Poor (BSUP) and the Integrated Housing and Slum Development Programme (IHSDP) and these round up the gamut of concepts proffered by the urban planning dogma of our times: “integrated development of slums through projects”, “providing for shelter, basic services and other related civic amenities with a view towards providing utilities to the urban poor”, “key pro-poor reforms that include the implementation of the 74th Constitutional Amendment Act”, and “delivery through convergence of other already existing universal services”. There are public-private partnership templates to guide business (and the odd social entrepreneurship) through this new topology; there are special purpose vehicles formed that mendaciously grey the distinctions between bond and financial markets and the greater public good, but which we are assured will function as the money backstop for public administrations whose clerks peer befuddled at slick online reporting formats (transparency at work, round the clock, accessible through apps on the beneficiaries’ tablet phones). There is ‘inclusion’ — that most essential salt that flavours the substance of governance today — to be found in every direction. There are plenty of beneficiaries to enlist in this urban social re-engineering that is proceeding on a scale and pace unthinkable a generation ago in our towns (public sector housing colonies and waiting lists for scooters), when ‘income inequality’ was an uncommon topic of discussion and ‘gini coefficient’ had yet to become a society’s alarm bell. The new cadre of GDP engineers is well schooled in the language of human rights and normative justice, and so we have ‘Social Mobilisation and Institution Development’ which attends ‘Employment through Skills Training and Placement’, both of which facilitate ’empowerment, financial self-reliance, and participation and access to government’. About 30 years ago, The State of India’s Environment 1984-85 (Centre for Science and Environment) noted in a tone of cautious optimism that “planners are beginning to realise that squatters are economically valuable citizens who add to the gross national product by constructing their own shelter, no matter how makeshift, which saves the government a considerable amount of money”. That was a time when governments still sought to save money and the CSE report went on to explain that squatters “are upwardly mobile citizens in search of economic opportunity and have demonstrated high levels of enterprise, tenacity, and ability to suffer acute hardships; that the informal sector in which a majority of the slum-dwellers are economically active contributes significantly to the city’s overall economic growth; and that they should be helped and not hindered”. Who can you turn to? It’s easier to list those whom you shouldn’t turn to, the top rankers being the country’s press and television wallahs, followed at a not respectable distance by academic commentators, then come the government blokes and bureaucrats (some of whom do know the difference between isobars and salad bars, I’ll give them that). Lurking behind this cacophonous mob are the boffins of the IMD and its associated scientific chapters, a number of whom have got their sums right, but who aren’t given the space and encouragement to tell the great Bharatiya public what said public is yearning to hear simply because regulations forbid, just like it was in 1982, 1957, whenever. As I may have mentioned before, this is Not A Good Thing. 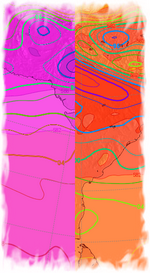 It has taken about a decade of mission mode tutoring (how the UPA bureaucrats loved that phrase, mission mode) to get the media wallahs to see the difference between weather and climate. A few may even have learned to read a wet bulb thermometer and puzzle their way through precipitation charts. 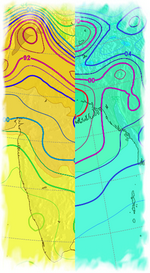 But overall, the profusion of android apps that profess to show cool graphics of clouds with lightning bolts erupting topside so that our humble ‘kisans’ know when it’s going to rain (i.e., by looking down at their screens instead of up at the sky) has not helped the Bharatiya public make more sense of less rain. We have squadrons of Insats and Kalpanas buzzing around the globe beaming pictures from the infra-red to the infra dig back home, every 60 or 90 minutes, busy enough to crash a flickr photo server, but the knowledge that said public can sift from it is sparse, rather like the rainfall over Barmer, Bikaner and Ajmer. And so it goes, with the waiting for rain replacing with an equal banality waiting for Godot but with a far larger cast of characters, most of them insensible to the greater climatic drama being played out, 30,000 feet overhead, and at the poles, in the vast turquoise swells of the eastern Pacific where a malignant El Nino is brooding, in the Himalayan valleys where crystal zephyrs have been shoved aside by an airborne mat of PM2.5, or to the desiccation that creeps outwards from our towns and cities (7,935 of them, India’s triumphant ‘growth story’) that have enclosed sweeping hectares with cement, asphalt, and the hot foetid belches of factories and air-conditioners. GDP, they have been told, is the great liberator. And that is why we have in place of the quiet concern of our forefathers in their dhotis, an electronic jumble of shrill alarm. “Weak monsoon intensifies drought like conditions in India” was one such headline, the text beneath finding the most ludicrous connections: “… threat of food inflation and weak rural demand in the first year of the Narendra Modi government”. Naturally, the cheerleaders of a demand-centric world cannot do otherwise. And likewise with “Weak rains deliver India’s new Modi government its first economic challenge” that desultorily spies impending delays in the “sowing of main crops such as paddy, corn and sugarcane” and which notes mournfully that “about half of all farms lack irrigation systems” and, even worse, that “reservoir levels are only a fourth of last year’s levels”, this last despite the best efforts, ham-handed though they are, by the Central Water Commission to show India (for Bharat knows) that the reservoir levels in the 85 major reservoirs are low, but not much lower at this point in 2014 than they were in 2013. The GDP bullies dislike contrary numbers, and would go cross-eyed were someone to mischievously mention the existence of 4,845 large dams in India (the blue-ribboned 85 included) whose many water levels we don’t in fact know at all. And similar vapidity from another quarter, which like its peers cloaks ineptitude with what it takes to be appropriate jargon, “The cumulative rainfall across the country has so far been 45 per cent below the Long Period Average (LPA) for 1951-2000” and brandishes even more frightful credentials with “a further breakdown of rain data recorded in different meteorological subdivisions shows that normal rainfall has been recorded in only seven of the 36 regions”. But which sere farmer and her wise daughters consider in their universe such things as meteorological subdivisions, when their world is what Balraj Sahni and Nirupa Roy in 1953 showed us so lambently, is no more than ‘do bigha zamin’? But still the misreading gathers pace, as vexed fixations upon an existence merely economic chase away plain common-sense. For rains may come or rains may go, but in tractors – for so we are instructed by the agents of hardened merchants – we trust. To wit: “… tractor sales have typically expanded at a double-digit pace in the years when rains have disappointed… In the 11 years between fiscal 2003 and fiscal 2013, rains fell short by 5% or more on six occasions… In four of those six years, tractor sales grew at a double-digit pace”. Let us then leave behind our cares and go rollicking over the dusty, still dustier now, plains of the Deccan in tractors tooting red. 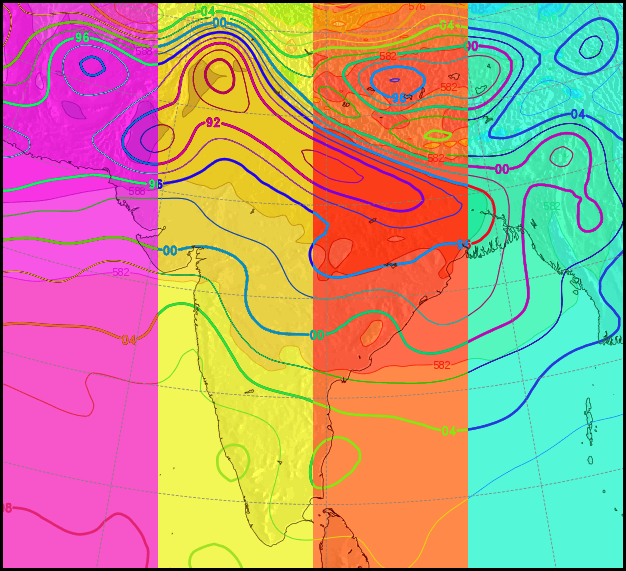 But a shadow of monsoon yet for Bharat, and at June’s end. It is past time that the prattling ceased and the learning began. The findings by the World Health Organisation on the quality of air in India’s cities are the strongest signal yet to our government (old and new, for the results of the 2014 general election will become known on 16 May) that economic ‘growth’ is a weapon that kills citizens through respiratory tract diseases and infections. Amongst the 124 Indian cities in the new WHO database on urban air quality worldwide, one city only is at the WHO guideline for PM2.5 and one city only is just above the guidelines for PM10. As a bloc, the quality of air in India’s cities are at alarmingly high levels above the guidelines, above Asian averages (poor as they are, and even considering China’s recklessly poor record) and above world averages. This is not a singular matter. Already, the WHO has warned that India has a high environmental disease burden, with a significant number of deaths annually associated with environmental risk factors. The Global Burden of Disease for 2010 ranked ambient air pollution as the fifth largest killer in India, three places behind household air pollution. Taken cumulatively, household and ambient air pollution constitute the single greatest risk factor that cause ill health -leading to preventable deaths – in India. The WHO database contains results of ambient (outdoor) air pollution monitoring. Air quality is represented by ‘annual mean concentration’ (a yearly average) of fine particulate matter (PM10 and PM2.5, which means particles smaller than 10 or 2.5 microns). The WHO guideline values are: for PM2.5 – 10 micrograms/m3 annual mean; for PM10 – 20 micrograms/m3 annual mean. The two charts show just how dangerously above the WHO guidelines the air quality of our cities are. India’s cities and PM10 – it is the latest amongst many signs that India’s GDP growth fever is a killer. Half of India’s urban population lives in cities where particulate pollution levels exceed the standards considered safe. A third of this population breathes air having critical levels of particulate pollution, which is considered to be extremely harmful. “We are also running out of ‘clean’ places. Small and big cities are now joined in the pain of pollution,” commented Down To Earth, the environment magazine. Typically, the official Indian response was to question the WHO findings (these were carried out in the same way in 91 countries, and we don’t hear the other 90 complaining) and to reject them. The reason is easy to spot. Global offender Number One for air pollution amongst world cities is New Delhi, a city that has been pampered as the showcase for what the Congress government myopically calls “the India growth story”. Hence government scientists are reported to have quickly said that WHO overestimated air pollution levels in New Delhi. “Delhi is not the dirtiest… certainly it is not that dangerous as projected,” said A B Akolkar, a member secretary of the Central Pollution Control Board. The WHO database has captured measurements from monitoring stations located in urban background, residential, commercial and mixed areas. The world’s average PM10 levels by region range from 26 to 208 micrograms/m3, with a world average of 71 micrograms/m3. PM affects more people than any other pollutant. The major components of PM are sulfate, nitrates, ammonia, sodium chloride, black carbon, mineral dust and water. It consists of a complex mixture of solid and liquid particles of organic and inorganic substances suspended in the air. The most health-damaging particles are those with a diameter of 10 microns or less, which can penetrate and lodge deep inside the lungs. Chronic exposure to particles contributes to the risk of developing cardiovascular and respiratory diseases, as well as of lung cancer. Central and state governments show no inclination to join the obvious dots. These are, that with more fuels being burned to satisfy the electricity and transport needs of a middle class now addicted to irresponsible consumption, the ‘India growth story’ is what we are choking to death on.